There is nothing like a good blazer. 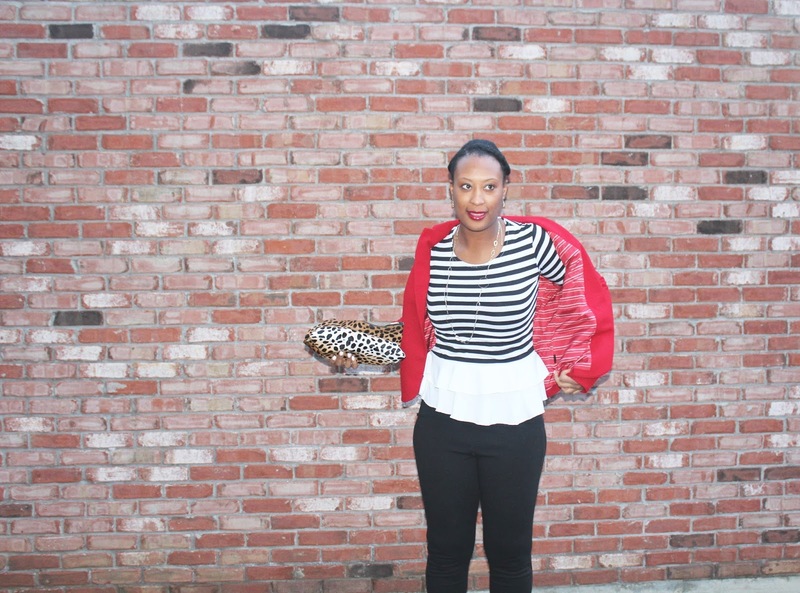 Can I get an Amen! Adding a blazer to any outfit can add a pop of color and even take your outfit to the next level. 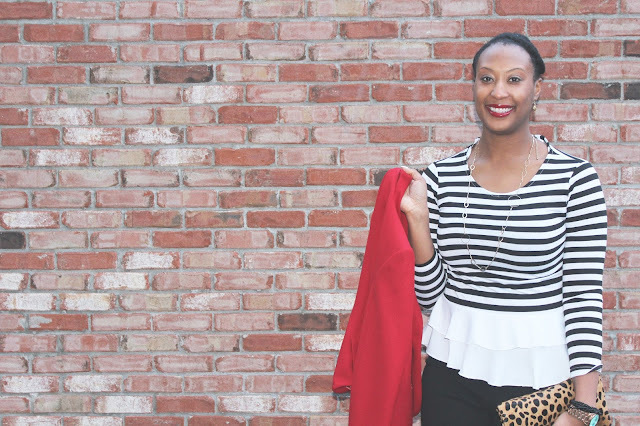 I have multiples in my closet of all different colors. 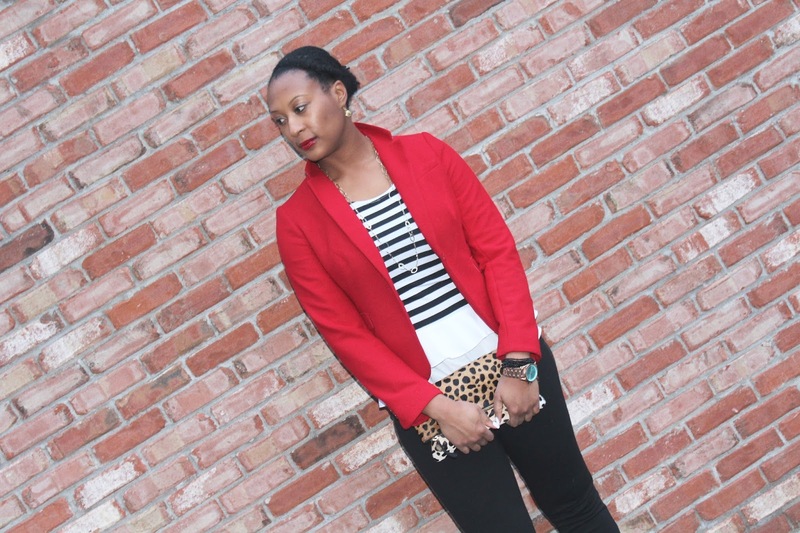 Blazers go great with everything from jeans, to dress pants, to skirts or dresses. 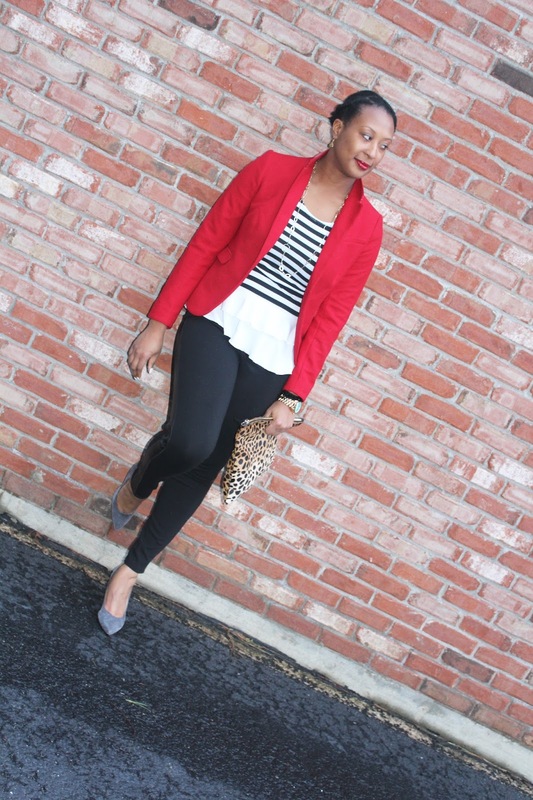 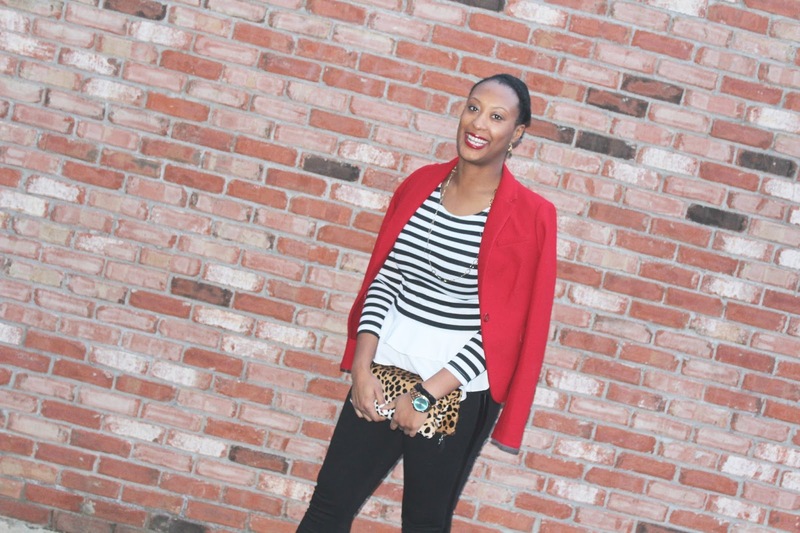 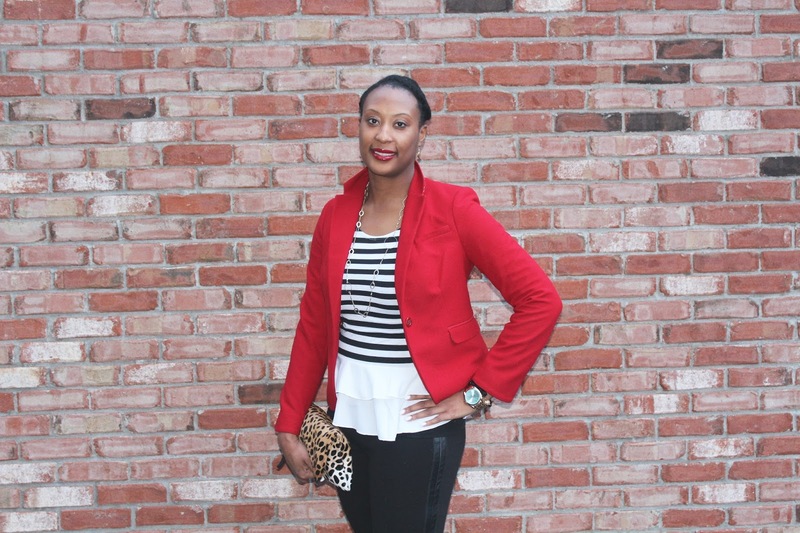 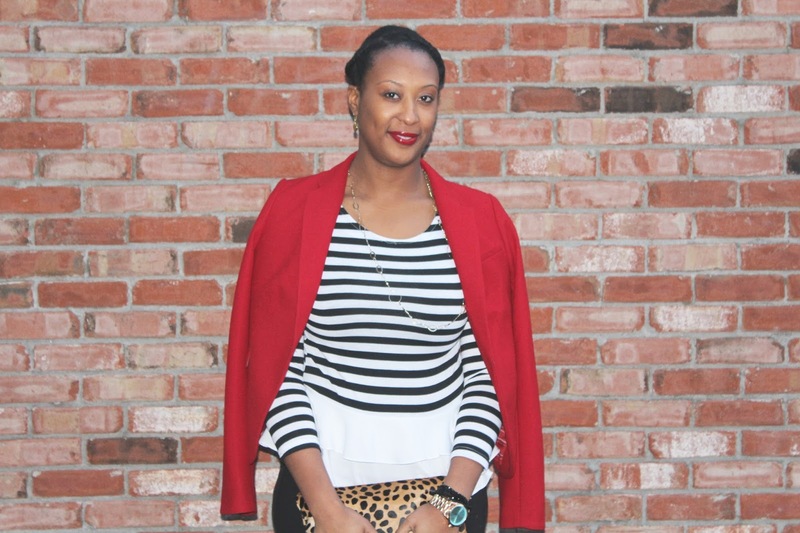 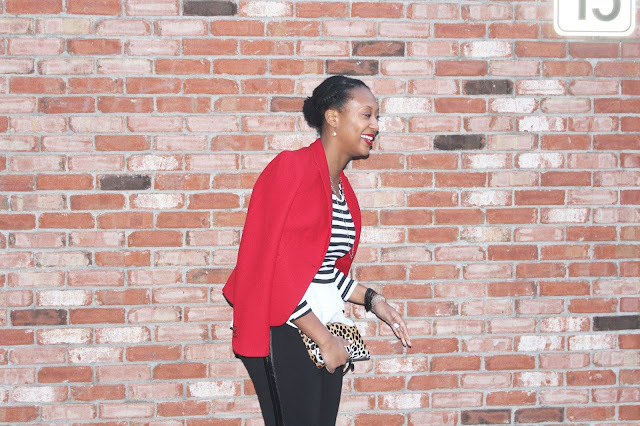 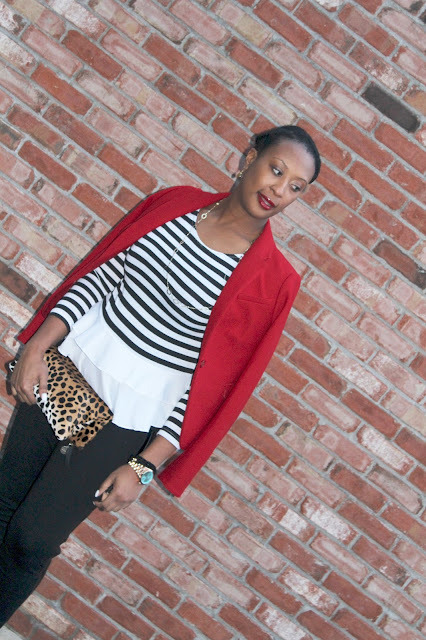 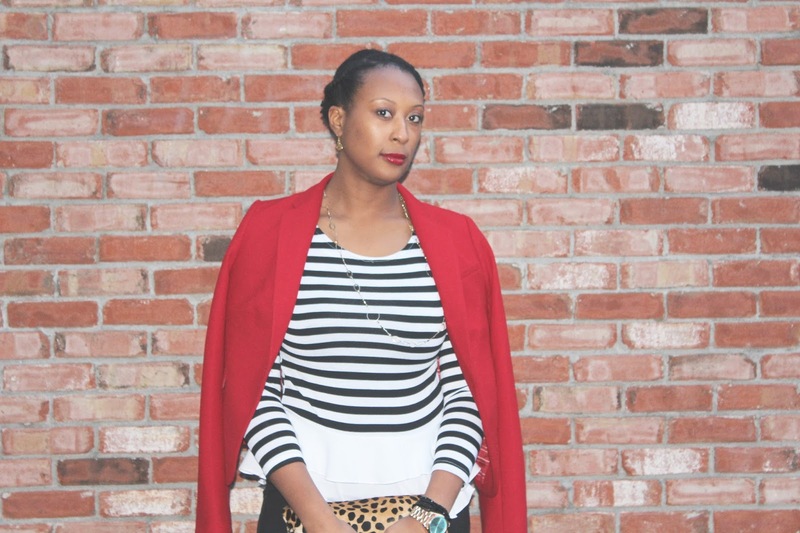 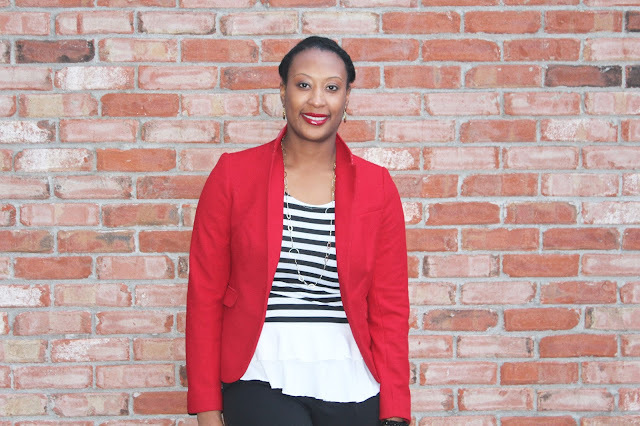 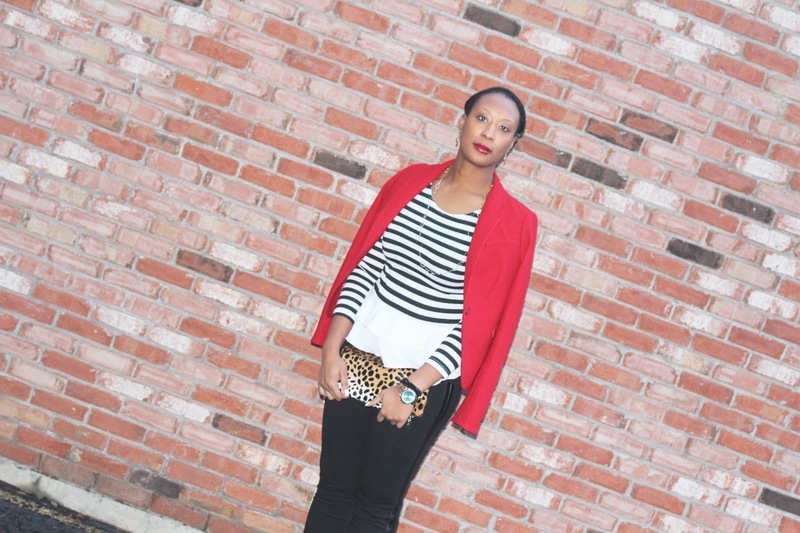 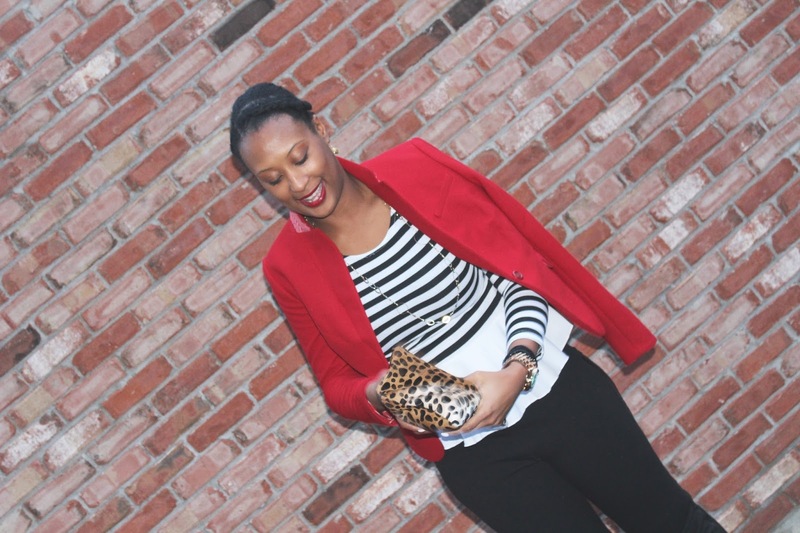 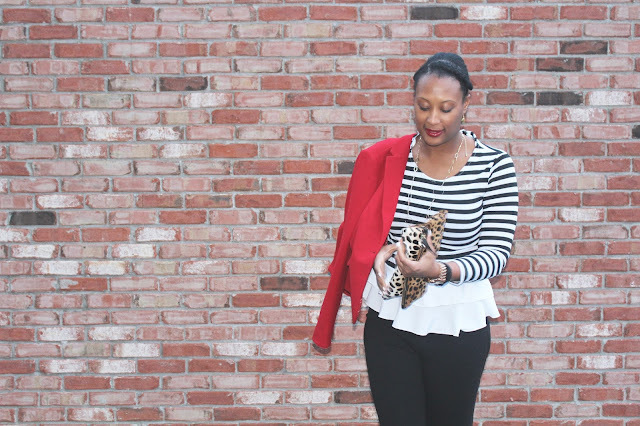 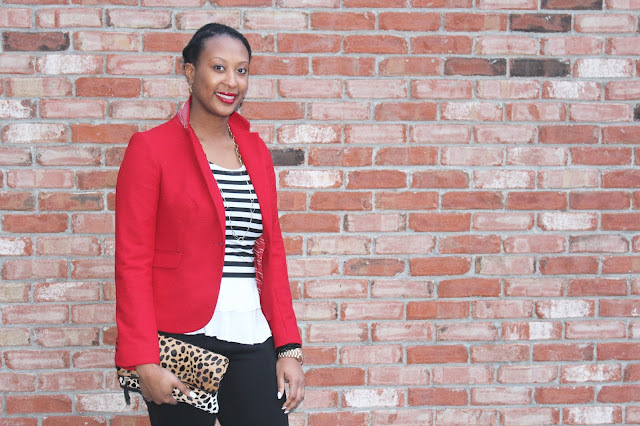 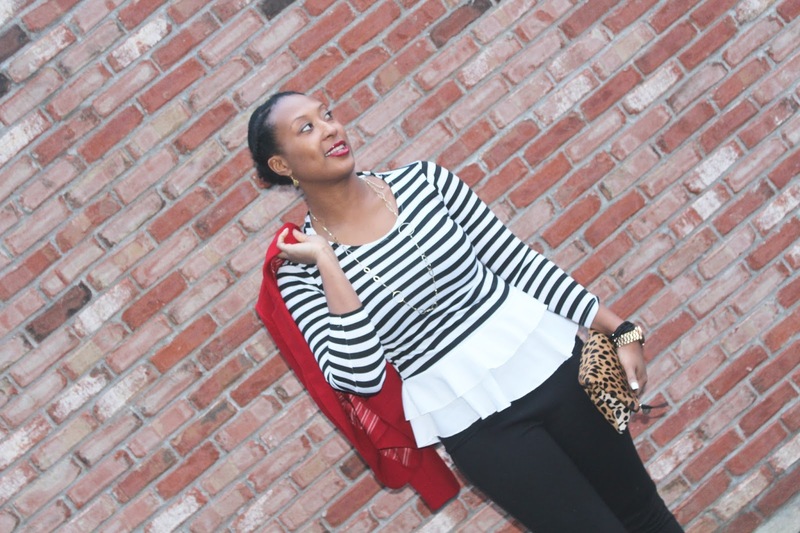 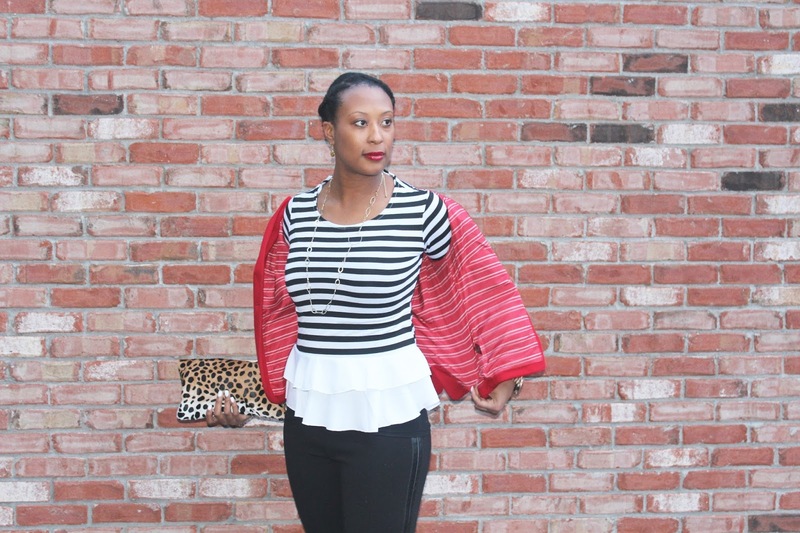 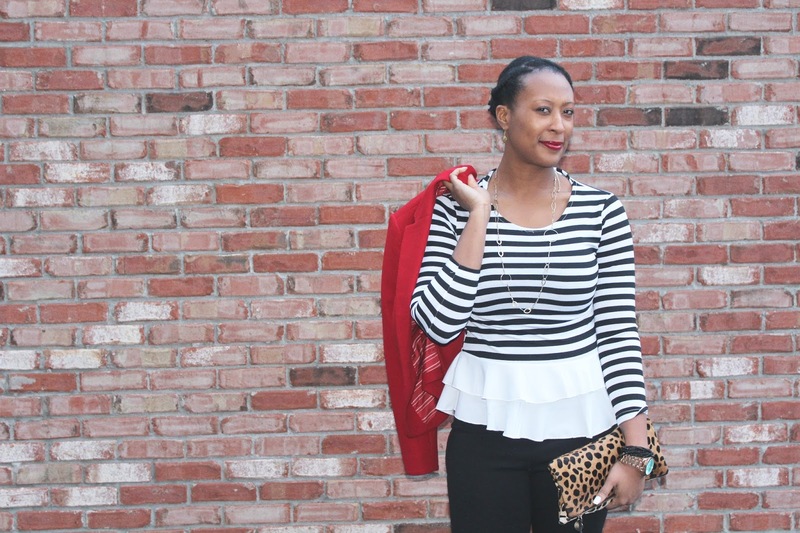 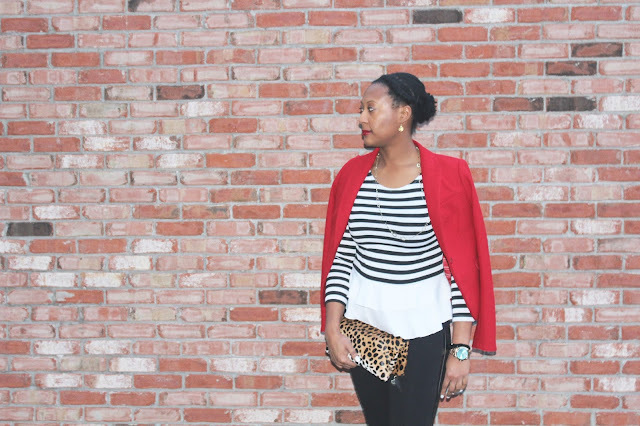 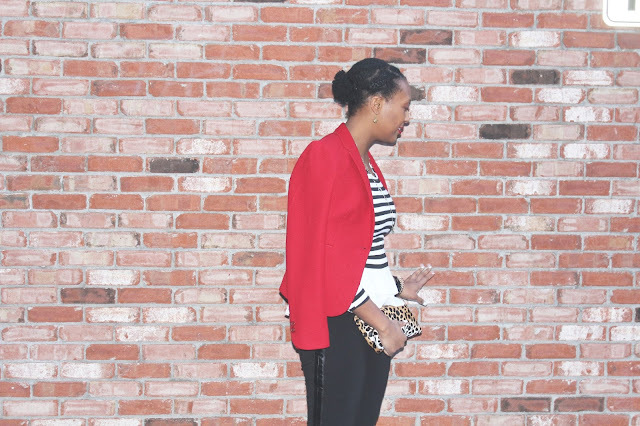 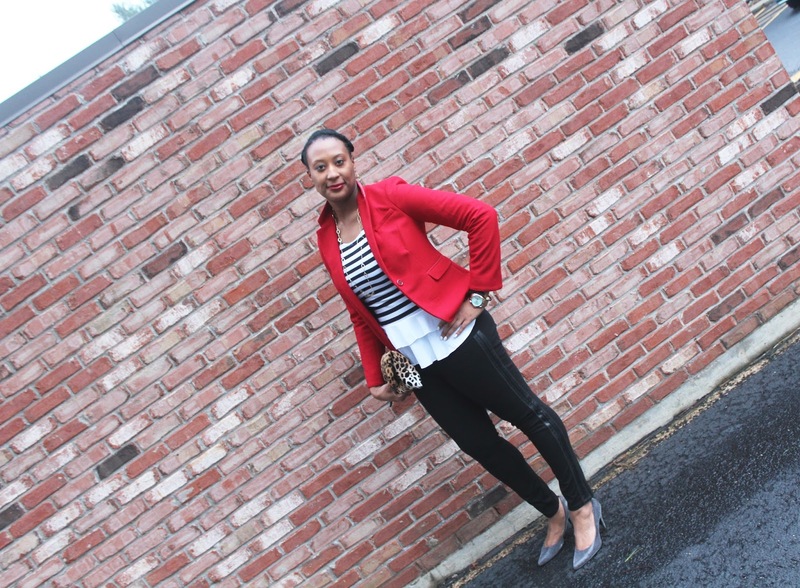 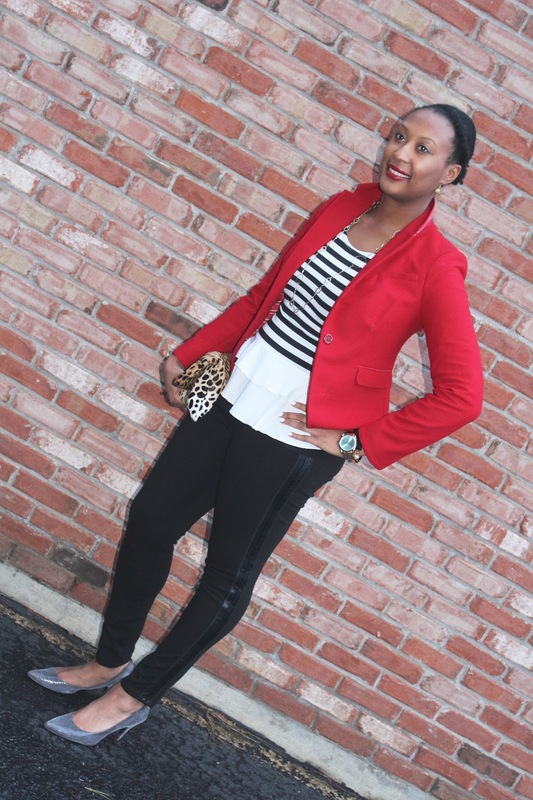 I chose to pair this red blazer (a similar one can be found here), with black leggings (found here), and a black and white stripped ruffled shirt (similar here). 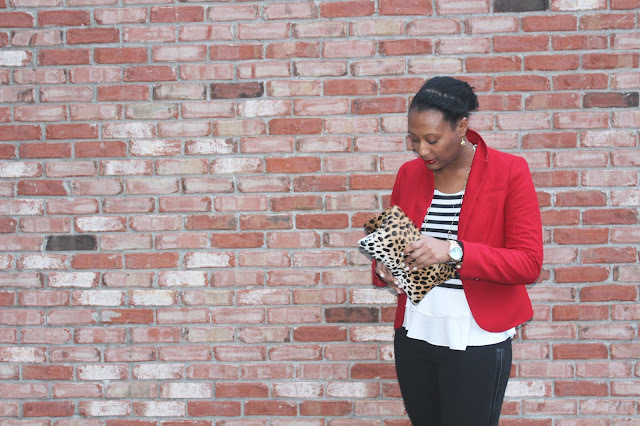 I accessorized with snake skin heels (similar here), this popular leopard clutch (found here), and gold jewelry (earrings here, neckless here, and bracelet here). The watch is from Wristology (found here). 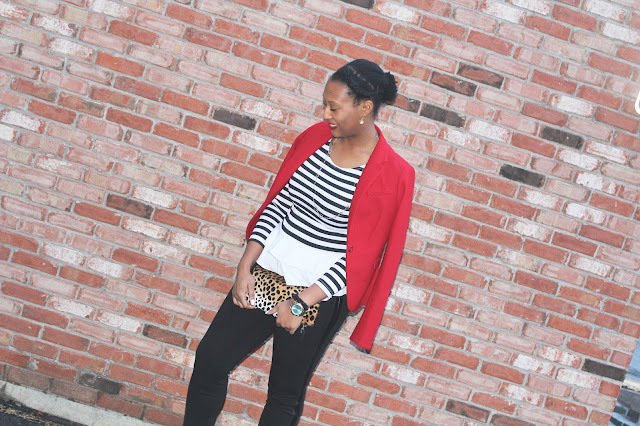 Use code: AA20 to get 20% off of any watch. I completed the look with a red lip (my favorite one can be found here). 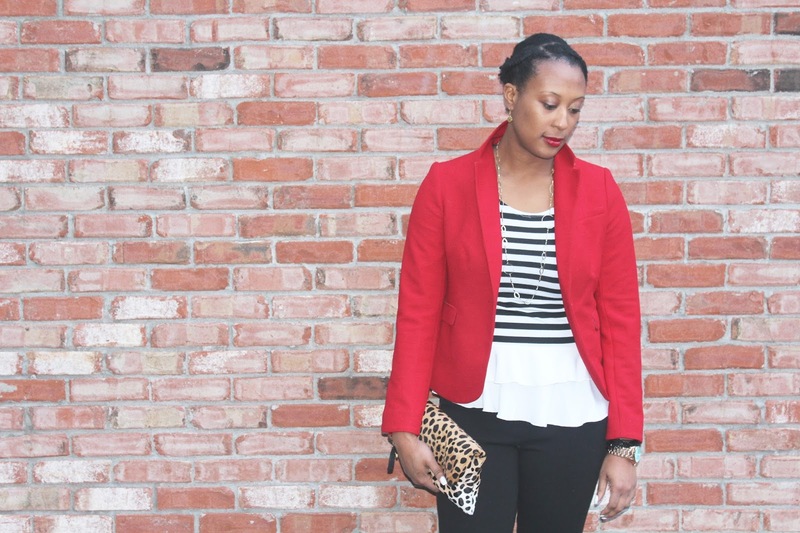 Did you know that March 8 is International Women's Day? Today we are celebrating 40 years of liberation from a time when women did not have a choice to wear what they wanted in public, especially pants and a blazer. 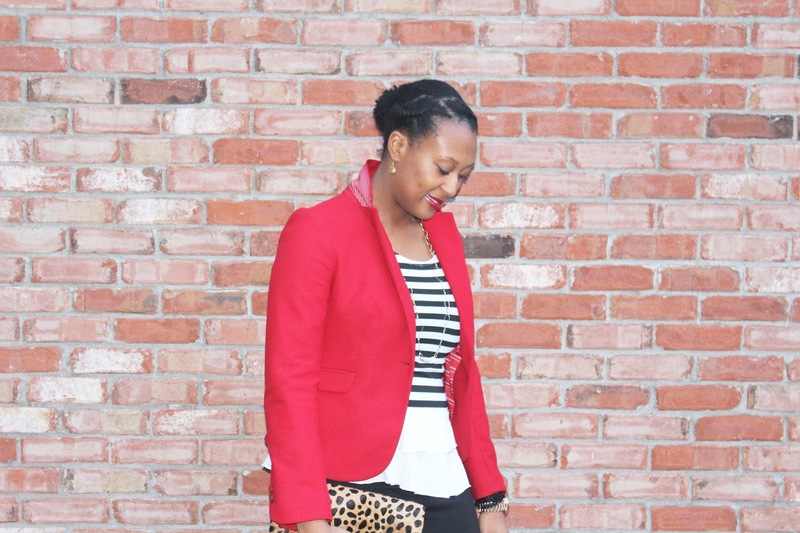 So today I am wearing my blazer and pants. 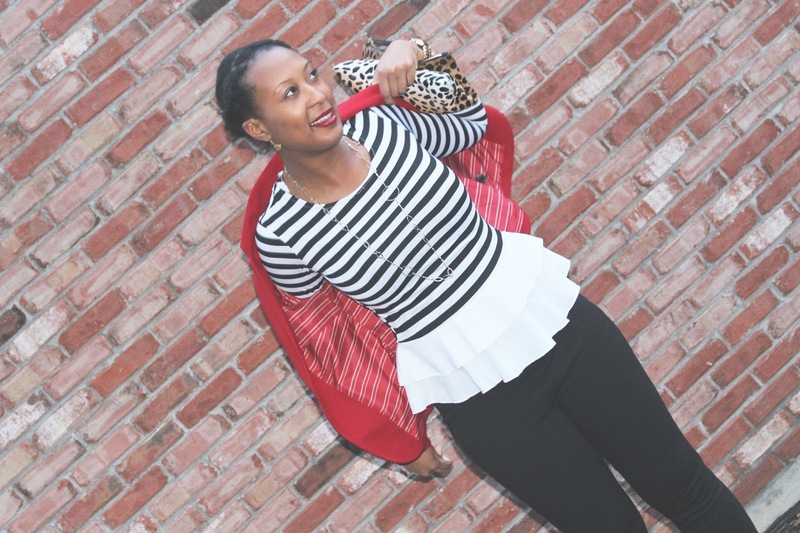 You will also see all over your social media other women proudly wearing their blazers to celebrate the social, economic, cultural, and political achievements of women. 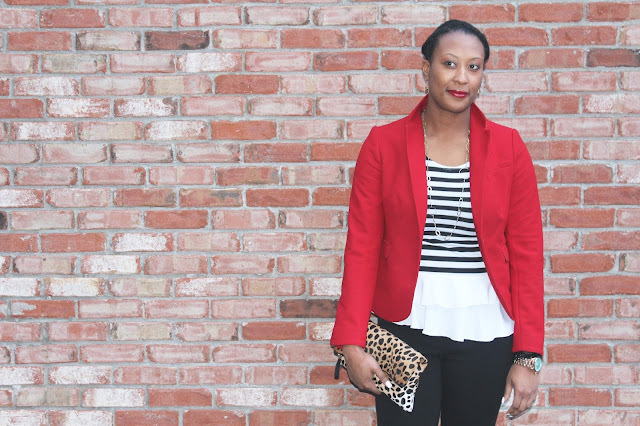 You should definitely show your support by throwing on a blazer and hastaging your pictures with #IWD2016, #PledgeforParity, and #Right2SuitUp. 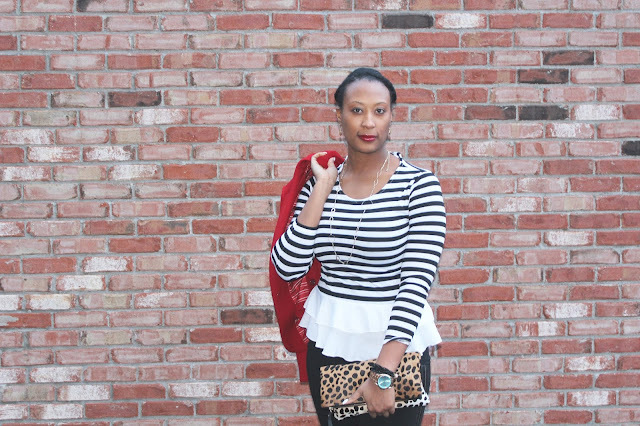 Below I have linked similar looks. Hope you enjoy! 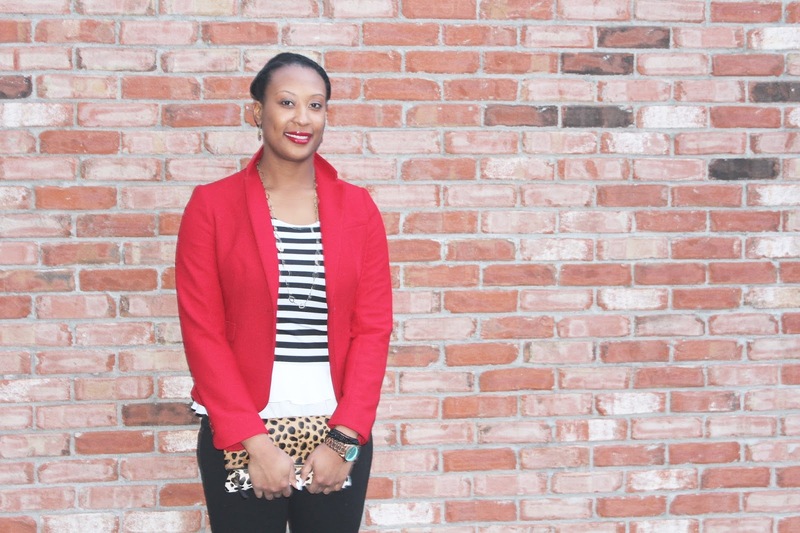 And Happy International Women's Day!